We are involved in manufacturing and exporting of Time Interval Meters. They are available in two models as per the resolution ms or µs. Meter measures accurately the time lapse between the two electrical events e.g. applying voltage, removing voltage, closure of contact, open of contact. 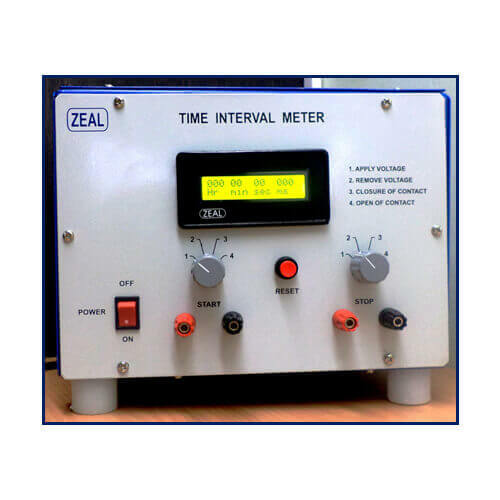 Therefore very ideal to measure response time or transverse time of relays. They can be used for calibration of timer, time totalizer, time switch, protection relay, stop watch.